Poker has taken off in popularity over the last decade, and online casinos are seeing a huge increase in players and activity for all of their poker games. We’ll take a look at two of Silver Oak’s most popular poker games – Seven Stud video poker and Aces and Eights video poker– and give you the rundown about how to play and how to make some money. One of the most popular poker games on the planet, Seven Stud gives you the opportunity to wager your way into a huge hand, or cut your losses early and live to fight another day. The dealer will reveal two cards to start. Players can bet again to reveal another or fold if they feel as if they don’t have a competitive hand. This process repeats, until a player wages their way to the final draw, where seven cards will be laid out and your best hand is automatically picked by the game. 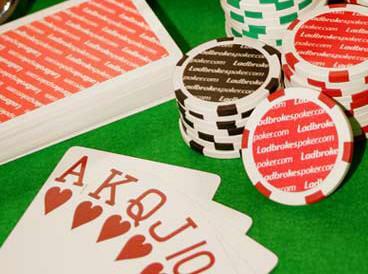 Note: A player needs a minimum of a three-of-a-kind to qualify for winnings. Also, jokers are wild and can be used to form any hand. If you’re looking for something a little more fast-paced, Aces and Eights is for you. This single player poker game is a quick way to make money, as players can play up to 100 hands a time at a maximum of $5 per hand. The goal of the game is to get the best hand, with special payouts for Four-of-a-kind consisting of Aces, Eights, or Sevens. The game is played like traditional poker, with the option to keep whatever cards you want off the deal, and replace any with a one-time swap from the deck. The order of hands is the exact same as Seven Stud, with the exception of the bonus payouts for 4-of-a-kinds. Also, the bonus round is a big time opportunity for players to quickly double their winnings, as players will have the option to continually double their winnings after each hand. There you have it. Whether you’re a seven stud man or a guy who likes to make his money quick and easy, there’s a poker game for you on Silver Oak.